Flatmattersonline - Alex Jumelin wins Fise Edmonton! 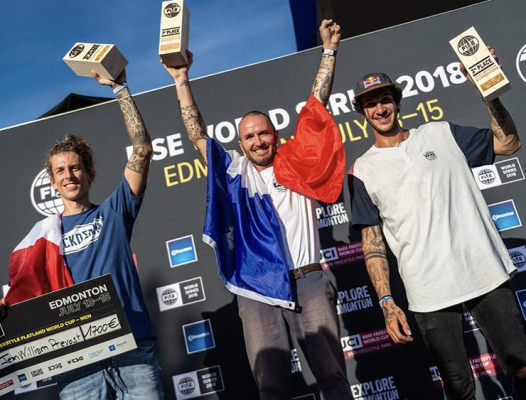 Congratulations to Alex Jumelin who took the win at the Fise Edmonton Fise World stop last night with a great run you can watch back below, Alex followed on the podium by Jean William Prevost and Matthias Dandois. There was also a game of bike right after finals, that was won by Terry Adams. Quite a day for the French, winning the World Cup and the Fise, party time!